The lack of focus on ROI within the discipline of marketing is the core theme of The Four Pillars of Profit-Driven Marketing. The authors note that marketing professionals do not pay enough attention to hard metrics to guide their work and investments. They identify several barriers to adoption of ROI within marketing organizations including access to data, business process and operational support, and ability to draw conclusions from the data. The highlight the “commitment to measurement” as a key organizational principle that will aid in implementation of an ROI measurement program. Resolving these barriers involves bringing together financial data (profit earned on each unit sold) and consumer data (incremental volume) within an environment which supports analytics, decision support processes, and has organizational alignment around measuring ROI. 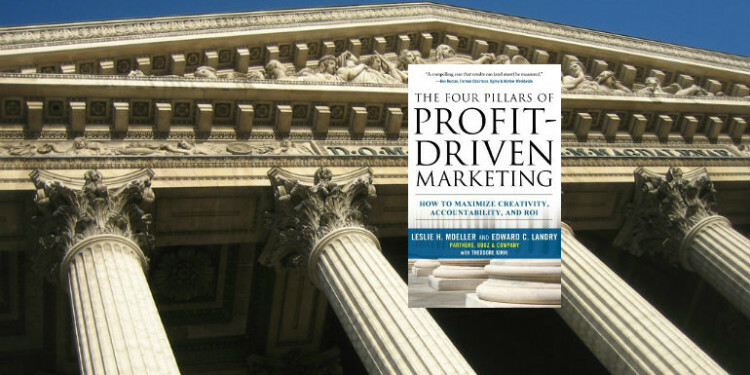 These are the four pillars of profit-driven marketing. The authors are proponents of an analytic approach to marketing and identify three categories of analytic approaches: behavioral, attitudinal, and business case.